CAPA came to Opus Design of Boston to redesign the map infographic for their student brochures and website. CAPA partners with higher education institutions to create Study Abroad programs. These programs are location in what they call “Global Cities” which are centers of economic development. Emily Knapp, Senior Graphic Designer, was asked to redesign the maps while designing the summer student brochure. They needed to be more clear for the students. This is one level of graphic design, taking complex information and making it visually clear. The challenge given was to make The CAPA Center prominent, give a few points of interest and label major roads. 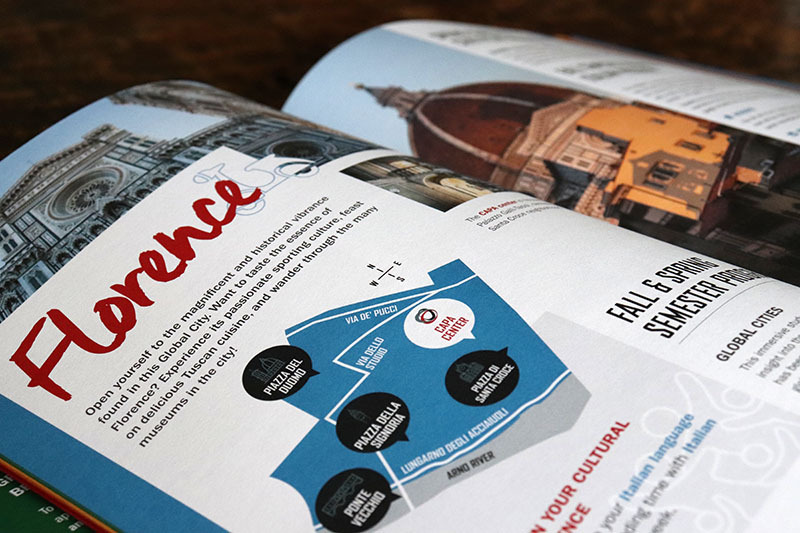 Infographic design for a map requires accuracy and can be difficult. Previous map design problems included but were not limited to: the map was not oriented North, it was disorganized and hard to follow. As a first step, all maps were drawn oriented North. CAPA wanted us to show as much of the city as possible, which provided another challenge. Emily relied on the client and research to narrow the points of interest to the students and pick the recognizable streets. Using google maps to make sure the maps were as accurate as possible helped as well. Heidi Scammon, Opus Graphic Designer, actually drew the maps. They are clear, concise and beautiful. They display points of interest, major roads and rivers and The CAPA center is visually prominent. The maps will not only help students when they arrive on site, but they will entice students as they decide which city to choose. 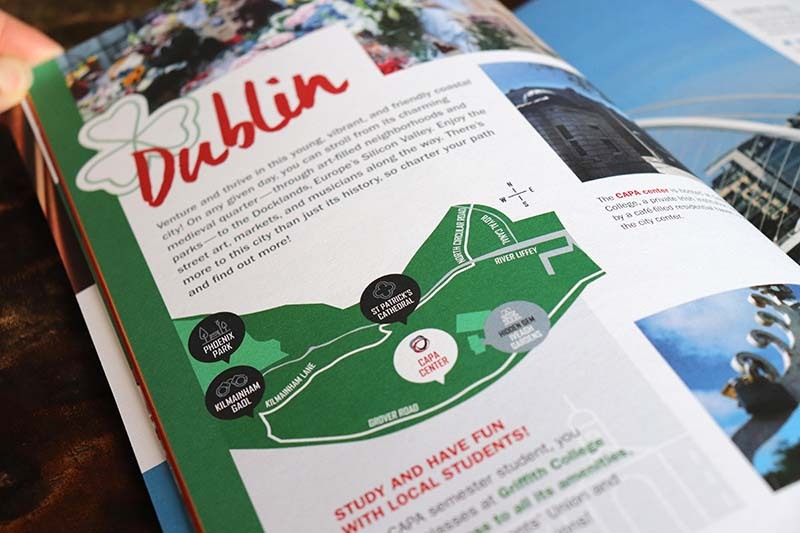 The clients were happy with the design for these map infogaphics and knew they would capture the student’s interest and be helpful as they located cities to study abroad.